Mithradates VI was king of Pontus and Armenia Minor in northern Anatolia from about 120–63 BC. 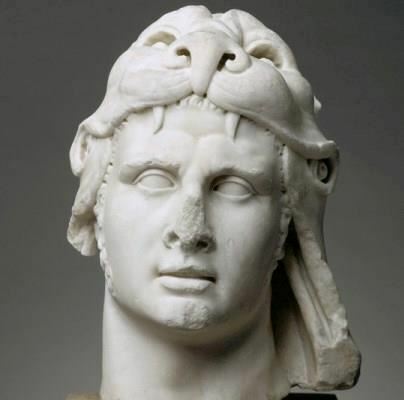 Mithridates is remembered as one of the Roman Republic’s most formidable and successful enemies, who engaged three of the prominent generals from the late Roman Republic in the Mithridatic Wars: Lucius Cornelius Sulla, Lucius Licinius Lucullus and Gnaeus Pompey Magnus. He is often considered the greatest ruler of the Kingdom of Pontus. After Pompey defeated him in Pontus, Mithridates VI fled to the lands north of the Black Sea in the winter of 66 BC in the hope that he could raise a new army and carry on the war. However, his preparations proved to be too harsh on the local nobles and populace, and they rebelled against his rule.